Well, it's not just Canada. 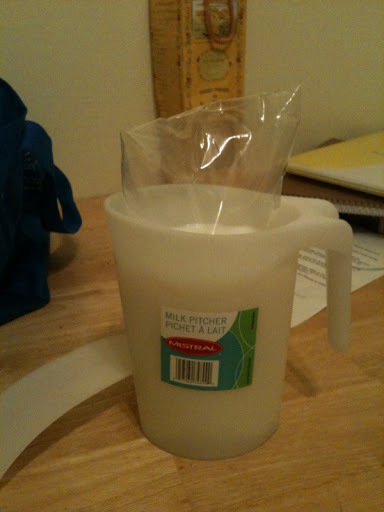 And I may be wrong here but I believe milk bags are only to be found in Ontario and Quebec. At any rate, I think milk bags are a good idea. Yes, I think I heard that it's a purely Eastern Canada thing. (Plus, as you say, some other countries). It's great for minimizing waste, assuming the bag is recyclable. Apparently, what really switch Canada over was changing to the metric system; it was far easier to change a milk bag size than a bottle.